There are three levels of sponsorship. Static display alongside the primary video scoreboard (west side of gym) at $5,000/year for a 3 year term from July 1 to June 30. Minimum of 3 In-Game advertising exposures. Digital content will include Pre and Post Game rotating business name, logo, and/or tagline on large video display. Each message will rotate with other partners for each regular season home event. Also includes the Digital Banner Ad display at the bottom of the large screen will run 20 minutes before and after game. Maximum of 4 Anchor Partnership spaces are available. 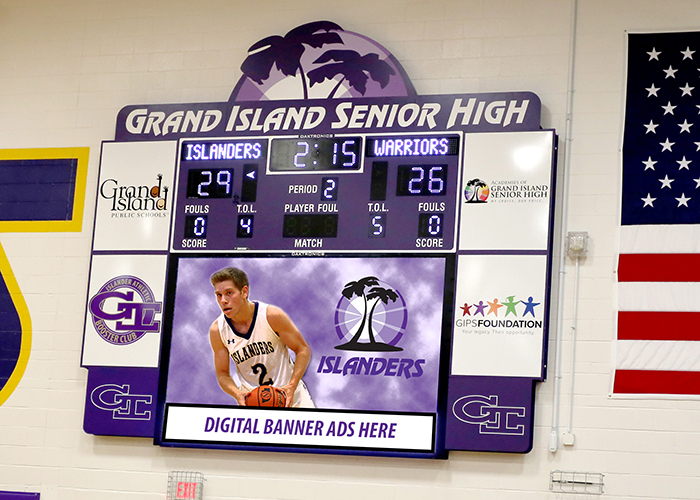 Static display alongside the secondary scoreboard (east side of gym) at $3,500/year for a 3 year term from July 1 to June 30. Digital Banner Ad display at bottom of the screen will run for 20 minutes before and after game. Minimum of 3 In-Game advertising exposures. Digital content will include Pre and Post Game rotating business name, logo, and/or tagline on large video display. Each message will rotate with other partners for each regular season home event. Also includes the Digital Banner Ad display at the bottom of the large screen will run 20 minutes before and after game. Maximum of 4 Founding Partnership spaces are available. Digital display ads at $750/year for a 3 year term from July 1 to June 30. Ads will display in a rotation for 20 minutes before and after game at the bottom of the large screen. Maximum of 10 Digital Banner Ads are available, in addition to the four Anchor Partners and four Founding Partner digital banners ads. Interested organizations can fill out the form below to be considered for the sponsorships. We know there will be high demand for the positions, so we have outlined a selection process. GIPS will accept applications and choose from all businesses and organizations in a random drawing outlined below. The selected organizations will choose their spot based on the best available location and sign on for three years. Advertisements must follow district guidelines, outlined in GIPS’ Policy 4570, Commercial Advertising in Schools.  Given the limited number of sponsor spots available (18 total) each application received by GIPS will be assigned a number. After the deadline for applications, the numbers will be randomly selected until the 18 available ad spaces are filled. Only one business partner from each industry will be placed on a scoreboard. For instance, if the first application randomly selected is “Fidelity Bank” and they choose the Anchor Partnership Package, a subsequently drawn application from “First Bank” will only be able to choose from remaining Founding Partnership Package or Digital Banner Ad spots. Please fill out this form to be included in the process.